Alan Hollinghurst writes like a dream about the nightmare of unequal affection. 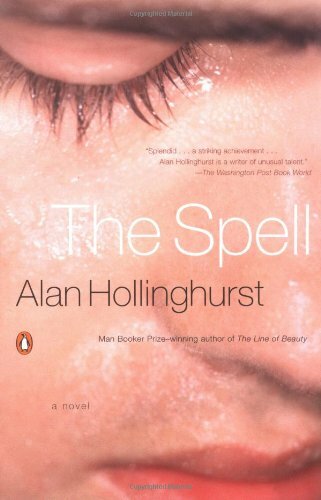 In his third novel, The Spell, four men dance around one another, their emotions and actions ranging from casual cruelty to anxiety to adoration. Hollinghurst's painful but smiling roundelay alternates between Dorset--where 40ish architect Robin shares a house with the impossibly self-involved Justin--and London. When Justin's ex, Alex, arrives for a weekend in the country, the atmosphere is instantly rich with jealousy and power plays. And after the trio is joined by a younger gay man, Danny--who turns out to be Robin's son--the attractions and duplicities multiply exponentially. Alex, for instance, soon admits to Danny, "I've got a ruinous taste for takers," and they (and we) are off and running.